1 x 37mm Red/White retroreflective band. 1 x 37mm Red retroreflective band. 1 x 37mm White retroreflective band. 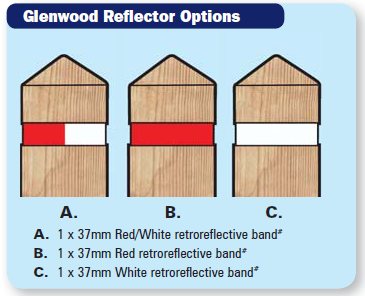 Glenwood 150 Post is a strong and robust timber-effect post that requires minimal maintenance. The post is square shaped with a diamond top. Moulded-in saw grooves between each anchor shelf, enable the post to be easily cut down to the desired height. 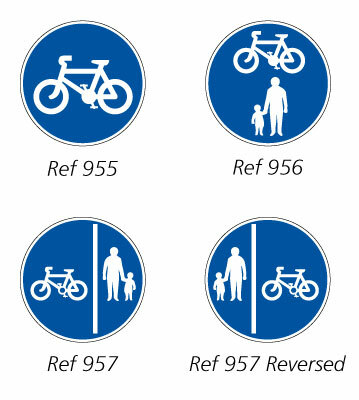 Standard height options are 1000mm, 830mm, 750mm and 500mm. For heights below 750mm where below-ground depth is 450mm or less, we recommend using the optional fixing peg. Colours: Dark Oak, Light Oak, White. Ground fixing peg. 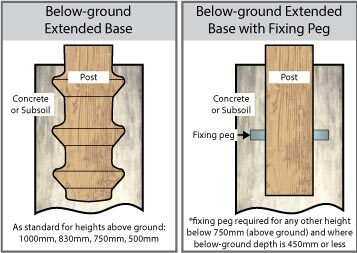 Use for post heights of under 750mm and where below-ground depth is less than 450mm. We recommend a minimum below-ground depth of 400mm for adequate anchorage. Depth below ground: 400mm to 650mm. Approximately 24% of UK households own a dog. That’s a lot of daily ‘walkies’, so here’s some tips on how to create a dog friendly park all visitors will love.